FOLEY, Mo. (June 21) — Amid the battle to hold back the swollen Mississippi River, some towns in northeastern Missouri and Illinois got an unwelcome surprise Saturday as river levels rose higher than projected. Mr. Glenn Blackman, our deacon in Des Moines, reported the following concerning the devastating Midwest U.S. floods, “We have so much rain in Iowa that the ground is saturated and it just runs off…. 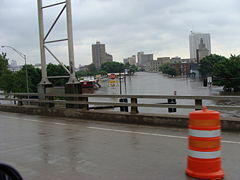 Des Moines has two rivers that run through the downtown area. Iowa has been getting four-to-eight-inch rains up north, and it comes down these rivers. All four bridges downtown that run from the east side to the west side are shut down… the road from the downtown to the airport is also closed by flood…. Interstate 80 is closed over east, where the Cedar River crosses south of Cedar Rapids. This river took out a railroad bridge today in the city of Cedar Rapids. Midwest Flood of Biblical Proportions? The “bread basket” of the U.S. has been drenched and inundated with water. Homes and towns are flooded and crops are being devastated in what some have called a flood that comes only every 500 years. In Iowa alone, they estimate a 20% crop failure “so far.” With record prices for grains, farmers worldwide stand to earn record incomes this year, IF the crops do not fail. However, for many Midwest U.S. farmers, the corn growing season is already lost. One agriculture expert warned, “With standing water comes concerns about manure storage, pollution, livestock safety, soil erosion, mold and fungus and other plant diseases… If the flooding continues, we won’t have any growing season to work with. For corn, time has run out” (New York Times, June 17, 2008). A spokesman for an insurance company stated, “We’ve had rainfall totals of the Noah’s Ark-type rains in east Central Illinois” (Bloomington Pantagraph, June 12, 2008). Brian Pierce, a meteorologist with the National Weather Service, said of the flooding, “We’re in uncharted territory—this is an event beyond what anybody could even imagine” (Associated Press, June 12, 2008). The Scriptures record warnings to the children of Israel about the consequences that would come from rejecting God and His ways, “your strength shall be spent in vain; for your land shall not yield its produce…” (Leviticus 26:20). God also reveals that He will punish the disobedient with scorching and mildew (Deuteronomy 28:22), and with rain on one city and not on another (Amos 4:7-9). Today, we appear to be reaping the consequences of turning our backs on God. As all nations have rejected God’s ways, all the world is subject to weather problems. On May 23, Mr. Rajan Moses received the following news from Myanmar elder Thomas Tial Hoe: “Thank you for your deep concern and your prayers for our Sakhangyi members. Though a big tree fell down between three of our members’ houses, and a tree fell down near Mrs. Saw Lay Beh’s home, it did not cause any damage to their homes. Our members were safe, saved and protected by our God. A refugee camp was set up in Sakhangyi village and about one thousand refugees stayed there. Some of our members were participating in helping refugees. Our God ‘will fulfill the desire of those who fear Him; He also will hear their cry and SAVE them’ (Psalm 145:19). We shall speak the praise of the Lord. As the rainy season is beginning in Myanmar and the roads are so bad, I will not be able to visit our Sakhangyi members before November.” Mr. Moses is scheduled to meet Mr. Thomas Tial Hoe in Myanmar the last week of June. Your prayers for a successful and safe trip are appreciated. 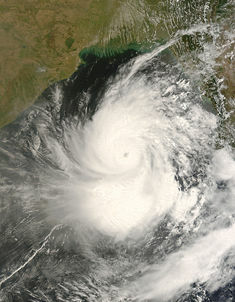 Myanmar was a tough place to live even prior to Cyclone Nagris. And all there need our prayers. And all need the kingdom to come. This entry was posted on Sunday, June 22nd, 2008 at 1:27 am	and is filed under COG News, Prophecy.